H&LA has completed many hotel feasibility studies for Public-private partnerships (P3). these partnerships have long been an economic development tool in the hospitality industry, but post-recession they have become more commonplace. A solid supply of quality hotels and leisure opportunities can improve a market’s stock as a go-to destination and provide substantial long-term and short-term economic benefits – not only to the developer and the city, but also to the city’s existing businesses and residents. Economic impact is generated by the facility’s construction, permanent and temporary job creation, tax receipts, demand for goods and services, and increased visitation and spending. While there is an upside to building hotels, the bottom line is that without some type of incentive, a project’s estimated financial performance may not support feasibility. That is only one part of the equation, however. Municipalities must also consider what they may be losing in terms of overall economic impact without the development. A P3 deal can help bridge that feasibility gap. Municipal incentives can ease the financial burden of bringing these higher-risk hospitality products to market. The primary driver is shared risk that leads to shared rewards from the project’s long-term success. P3 projects allow the public to enjoy the economic impact and benefit to the region, while the private side is able to bring a project to fruition with reduced financial risk. While developers often take the lead in seeking municipal assistance, the past few years have seen a shift, with cities creating incentive packages to entice developers to build hotels or leisure properties in their communities. Tax increment financing (TIF): Cities can create TIF districts to fund economic development projects in areas where development would not otherwise occur. Property tax rates applied to increases in property value that occur after the district is established, or the “tax increment,” are used to fund TIF district projects. Tax rebates: Municipalities can rebate a portion of the taxes generated back to the business or the developer of the improvements on the property. These can be from sales taxes, property taxes, bed/hotel taxes or other city-specific taxes. Often, municipalities will negotiate that a portion of the tax rebates be allocated for tourism promotion in the area instead of going directly back to the developer. Due diligence costs: Cities and counties may hire a feasibility study to determine if the project is feasible. Infrastructure improvements: Municipalities may agree to absorb the costs of adding the necessary infrastructure to build the project. Bonds or other financial assistance: Cities may issue bonds or provide other financial assistance to offset the developers’ investment. Developers will sometimes “shop” for the best deals, going from city to city until they can attract the right package. This puts communities in the difficult position of competing against each other for economic development opportunities. Communities are also in the sometimes tenuous position of using public funds to benefit private development, which depending on the community, can be a tough sell to the public. Whatever the case or public sentiment, communities that proactively have an incentive program in place are better poised to compete for these projects. The hotel industry has been riding a wave of unprecedented performance, and many see the current climate as an ideal one to pursue these types of investments. According to STR and H&LA, 2014 was a banner year for the U.S. hotel industry, building on a record-setting 2013. Rooms revenue, rooms available and rooms sold were the at the highest levels ever recorded. Occupancy rose to 64.4%, just missing the record 64.8% set in 1995. ADR ($115) and RevPAR ($74) were the highest since STR began tracking data in 1987. STR expects the momentum to continue into 2015, particularly in ADR and RevPAR growth. Proposed Hotels and Indoor Waterpark in Lake County, Ohio, prepared for the Lake County CVB- The Lake County CVB took the proactive step of commissioning H&LA to study five unique sites within Lake County for the development of a hotel or indoor waterpark resort. Lake County has a number of unique assets. Its transportation network is well-developed with Interstate 90 passing through the southern portion of the county and State Route 2, an interstate quality highway, passing through the center of the county. It has a number of commercial demand generators including Lubrizol, Steris, and Avery Denison. It has the Lake Erie shoreline with a number of marinas and beaches. Our study focused on five different sites in Lake County for possible development. The CVB hopes to attract possible hotel developers to their various sites. Proposed Outdoor Waterpark in Richland County, South Carolina, prepared for the Richland County Office of Procurement and Financing – The scope of our study was to provide a feasibility analysis for a waterpark attraction that had the potential to make the subject site in Richland County a destination. Through our research and knowledge of the market, we concluded that the optimal type of waterpark for development at the subject site was a large, stand-alone destination outdoor waterpark. The purpose of the study was to attract possible developers who had appropriate financing capabilities and would be able to see the project through to fruition. It was our opinion that, to attract potential developers, the project needed to receive incentives from the county and/or state in order to enhance the viability of the project. Proposed Resort Hotel in Texas suburbs – Two rapidly growing suburban Texas communities engaged H&LA to analyze the proposed development of a hotel with an indoor waterpark and convention center. Each community offers many major employers, family friendly attractions and sports venues that provide a variety of entertainment options. 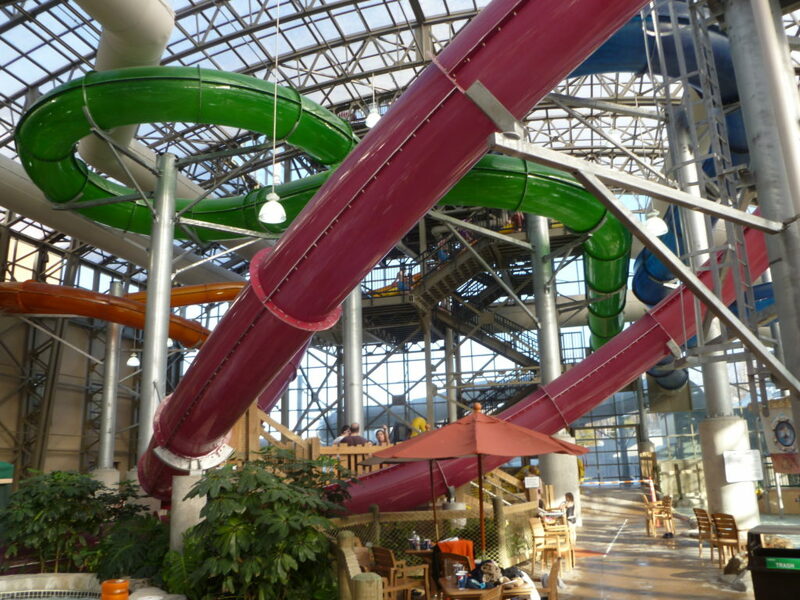 The communities looked to attract developers focused on providing an indoor waterpark attraction. Overall, our study revealed that the proposed resort development had an above-average likelihood of being viable for both Texas communities. Our analysis indicated that the recommended developments will attract many leisure and group guests to experience each of the resorts. The bottom line is that any hospitality project carries some risk; therefore, it is wise to proceed cautiously and to explore all the options before pursuing a P3 deal. Detailed feasibility and economic impact studies should be used to project the viability and financial performance of the project. With this data in hand, municipalities are better able to attract investors and sell the local community on the benefits of providing incentives.